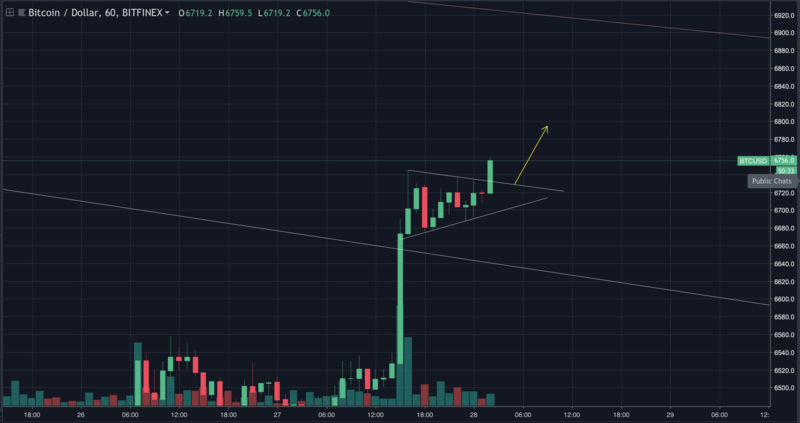 Bitcoin – Target $28,000 by the summer? Haven’t traded on CBP for a year or so but something about watching high volume movements on CBP looks so much better than any other exchange. Glad to see some volatility today. 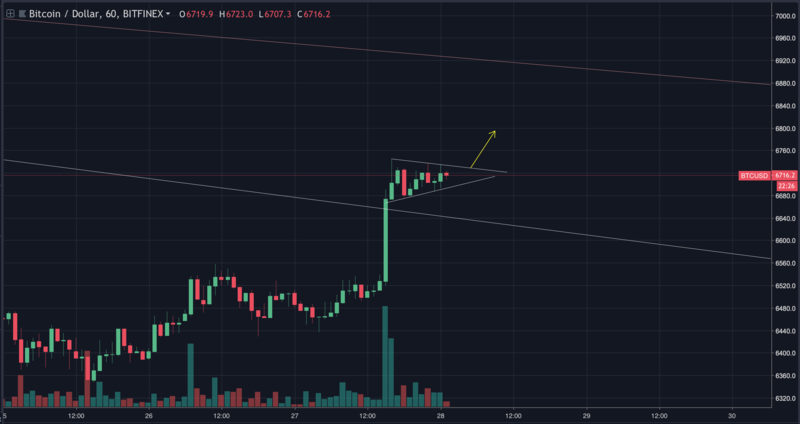 Edit: If we do break up from here…I expect a test of the descending resistance line(or the top of the giant meme triangle) which is at around $6,900. Breaking up from there is **extremely** bullish. Edit2: [Breakout](https://i.imgur.com/W9zDhIZ.png) confirmed. Taking a significant long position here. No stops, riding this position till I get liquidated. Happy trading. 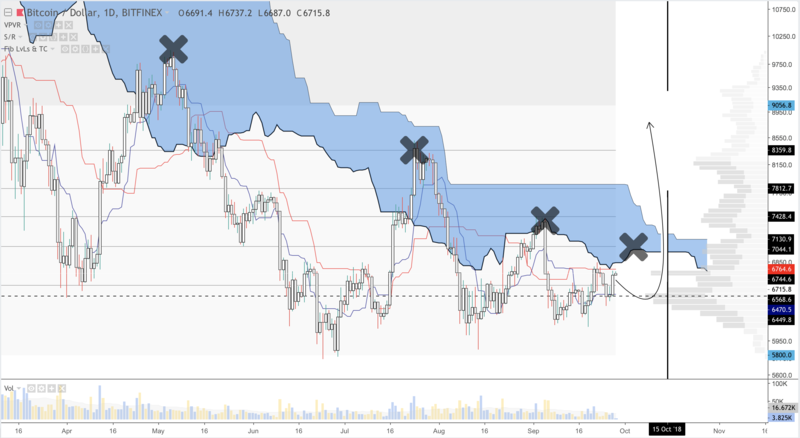 Calling it; BTC will finally break through the 1D kumo by attacking a vulnerable spot in the kumo which won’t be defended as rigorously. Once BTC punches its ticket to get above the 1D cloud, it can do whatever it wants to do. Is that ETF decision still due for this weekend? If so, we might have to get ready for some action! 1broker.com got seized yesterday. Could that happen to bitmex.com? They claim Americans can’t sign up but you can just use a VPN and they don’t care about your IP afterwards. Sticking to the plan is hard here. 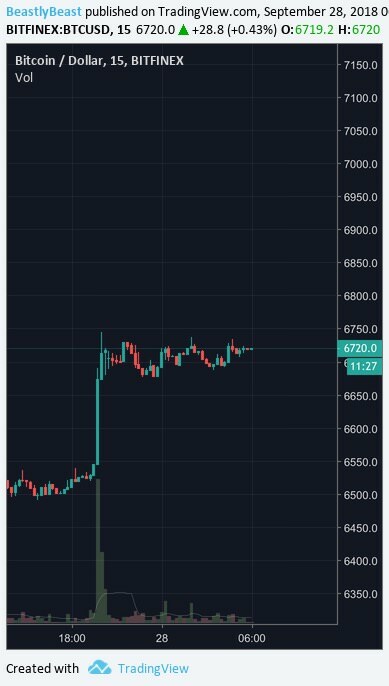 Following my strategy which says to go long, but like the rest of you my read is that we’re back at the top here and we’re going down. I suspect, there are a lot like me: nibbling bits on each dip, feeling the bottom is in, though prepared to take a large chunk out of 3-5k…if it shows. Accumulating slowly, yet persistently both as a hedge against the bloat and as a pledge of support to the resurgence of sound money.